WEDNESDAY, Jan. 6, 2016 (HealthDay News) -- Becoming pregnant while taking birth control pills doesn't seem to increase the risk of birth defects, a new study suggests. Researchers found similar rates of birth defects -- about 25 infants out of 1,000 -- among women who never used birth control pills and those who took them before pregnancy or took them before realizing they were pregnant. "This should reassure women as well as their doctors," said Charlton, an instructor in the department of epidemiology at Harvard's T.H. Chan School of Public Health in Boston. However, she cautioned that this study can't prove that birth control pills don't cause birth defects, only that there appears to be no link. Dr. Jennifer Wu, an obstetrician and gynecologist at Lenox Hill Hospital in New York City, said the study findings aren't surprising. "It's something we have known for a while," she said. Still, "many women in the United States are on birth control pills, so it's reassuring to know that they don't cause any birth defects, and women don't have to worry about it during pregnancy." Although oral contraceptives are highly effective at preventing pregnancy, about 9 percent of women get pregnant the first year of using them. Usually this is because they missed a dose or used other medications -- including anti-seizure drugs, antibiotics, antidepressants or some HIV drugs -- that can make the contraceptive less effective, Charlton said. In many other cases, women stop taking "the pill" when they want to conceive and become pregnant within a few months. Whether the hormones in birth control pills could affect fetal development when used around the time of conception hasn't been well-studied, the study authors explained in background notes. For the study, the researchers used national medical registries to collect data from Denmark from 1997 to 2011 on all live births, birth defects and mothers' medical conditions. Among more than 880,000 births, 2.5 percent of the babies had a birth defect such as a cleft palate or an arm or leg defect, the researchers found. Specifically, Charlton's team found that for every 1,000 births, 25.1 infants of mothers who never used the pill had birth defects, as did 25.0 of infants of mothers who had used birth control pills more than three months before pregnancy. 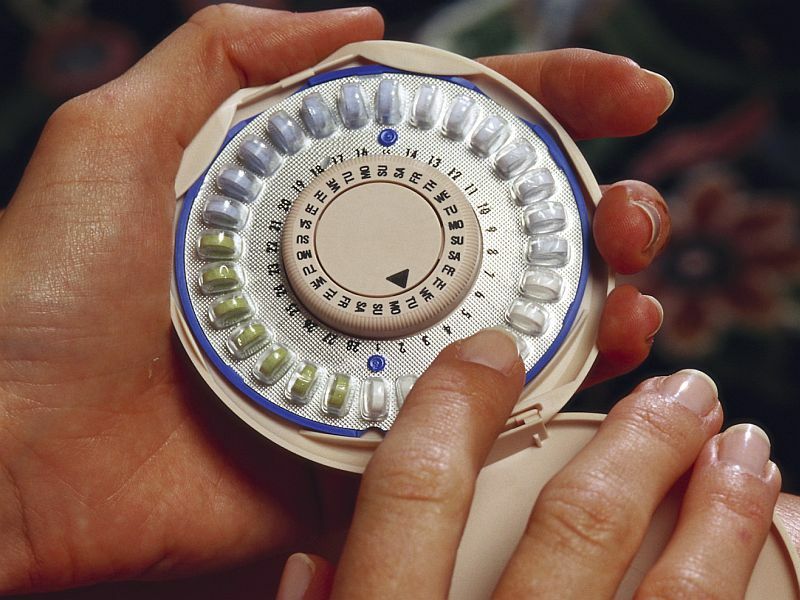 The rate was 24.9 among mothers who used birth control pills within three months of becoming pregnant, and 24.8 among mothers who used the pill before realizing they were pregnant. "The prevalence of birth defects was consistent across each of the oral contraceptive groups as well as when we added in pregnancies that ended as stillbirths or induced abortions," Charlton said. "Similarly, the results were also consistent even when we broke down the birth defects into different subgroups, like limb defects," she added. In all, the study found that 68 percent of mothers had used birth control pills, but stopped more than three months before pregnancy, and 21 percent had never used them. Also, 8 percent of the women had stopped using oral contraceptives within three months of conception, and 1 percent used them after getting pregnant, the researchers said. Charlton's team excluded any infants with defects caused by known factors, such as fetal alcohol syndrome or chromosomal abnormalities. The researchers also accounted for risk factors that could increase the odds of a birth defect. These included the mother's age, household income, level of education, history of birth defects, smoking during pregnancy, use of prescription drugs and hospital admissions. The study findings were published online Jan. 6 in BMJ. According to Wu, this study shows that women shouldn't worry that getting pregnant while on a birth control pill will cause an abnormal pregnancy.